For decades, kids from every corner of America and beyond have dreamed of a summer trip to Orlando. Disney World opened in the city in 1971, and theme parks from Sea World and Universal soon followed. On Sunday, Orlando fell victim to the deadliest mass shooting in U.S. history, an act of extreme violence that killed 49 and sent shockwaves through the tourism industry. Employees at Disney and Universal were confirmed to be among the victims. "We are all heartbroken by the tragic and horrific events in Orlando, and offer our thoughts, prayers and support to everyone in our community affected by this senseless act," Bob Iger, the chairman and CEO of Disney (DIS), said in a statement. Disney is the largest single taxpayer in central Florida, with 74,000 employees and an annual regional payroll of $2.4 billion. In Orlando, it now operates a total of four theme parks and 27 resort hotels. Universal and Sea World employ thousands more people in Orlando. According to the city's tourism association, more than 63 million people visited Orlando in 2014, making it the "most visited destination in the nation." All three of the city's flagship amusement parks -- Disney World, Sea World and Universal -- are located within 20 miles of the gay nightclub that was attacked by a Florida man who authorities say pledged allegiance to ISIS. 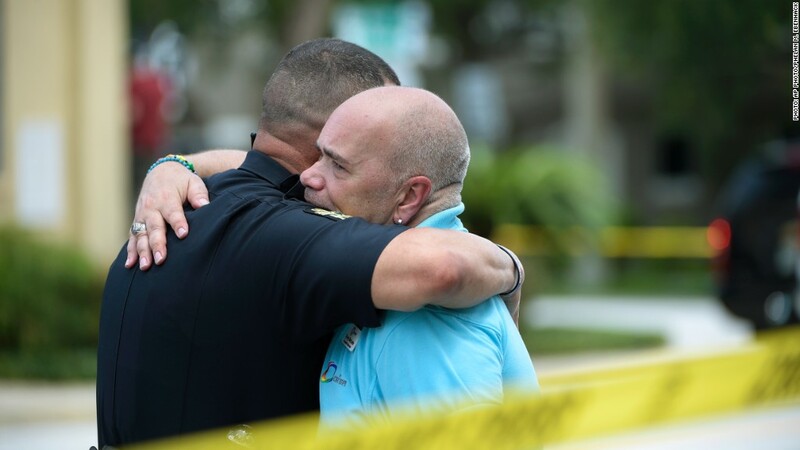 "Today we are dealing with something that we never imagined," Orlando Mayor Buddy Dyer said on Sunday. Among the victims was Disney cast member Jerry Wright, according to Walt Disney World Resort President George Kalogridis. He said in a statement that the company was also mourning the loss of "others within our extended Disney family," but he didn't provide further details. "We offer our most heartfelt condolences to their families, friends and loved ones as well as all who were affected by yesterday's senseless acts," Kalogridis said. Another victim of the attack was Luis S. Vielma, who worked at Universal Orlando. On Twitter, the 22-year-old was mourned by J.K. Rowling, creator of the Harry Potter book series. Vielma had worked on the Harry Potter ride at Universal, the author tweeted. "He was always a friend you could call," Josh Boesch, who worked with Vielma at Universal, told the Orlando Sentinel. "He was always open and available." Universal Orlando spokesman Tom Schroder said the company was "deeply saddened over the loss of our team member." "We are working to support his friends and colleagues here at Universal Orlando," Schroder said in a statement. "Our thoughts and prayers are with Luis, his family, and all the victims of this tragedy." -- Faith Karimi contributed reporting.